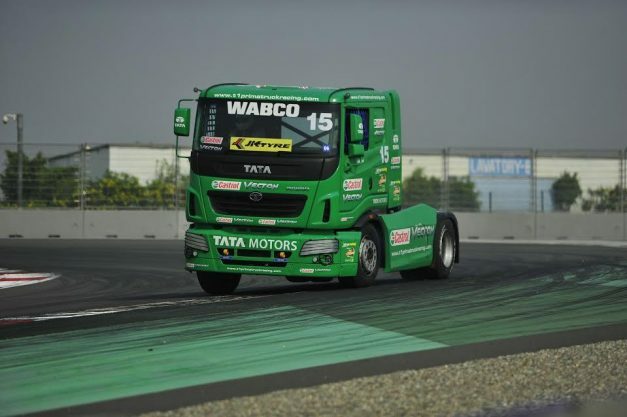 The T1 PRIMA TRUCK RACING CHAMPIONSHIP in its 4th edition is all set to see some more excitement at the Buddh International Circuit (BIC), with accomplished racers from FIA’s European Truck Racing Championship (ETRC) competing in the championship for the very first time. The ETRC will be represented by 6 racers from the rest of Europe, who will compete in the Pro class category alongside 6 British drivers from the British Truck Racing Association (BTRA), who have raced in T1 since the sporting event was first introduced in 2014. FIA’s European Truck Racing Championship drivers to race in India for the very first time. Among these are Spanish Antonio Albacete, three time ETRC Champion (2005, 2006 & 2010), Hungarian Nobert Kiss, two time ETRC Champion (2014 & 2015) and Woman driver Stephanie Halm. Also introduces T1’s first woman driver, Ms. Steffi Halm from Germany. India’s only truck racing championship is organised by Madras Motor Sports Club (MMSC), with safety and performance standards as per the guidelines of the British Truck Racing Association (BTRA). In Season 4, Tata Motors has also partnered with some of the country’s leading automotive brands. These are WABCO – Official Braking Technology Partner, JK Tyre – Official Tyre Partner, Castrol – Official Lubricant Partner, Cummins – Official Engine Technology Partner and Tata Technologies. Six teams will be competing in the Pro-Class for the 2017 season of the T1 PRIMA TRUCK RACING CHAMPIONSHIP. 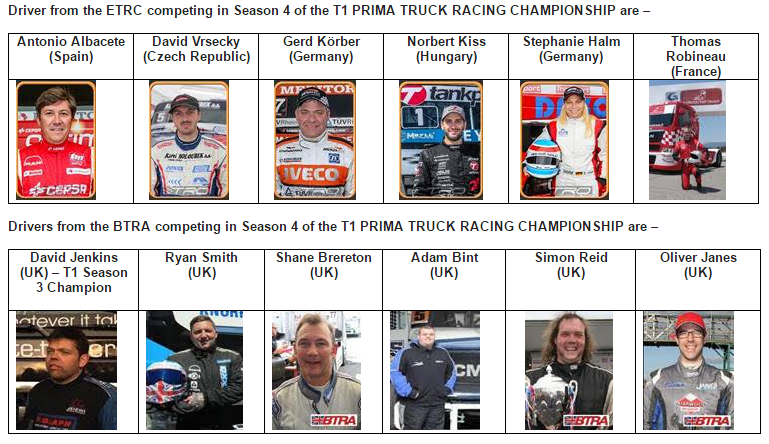 Apart from hosting experienced international drivers, Season 4 of the T1 PRIMA Truck Racing Championship will also host two other races – CHAMPIONS CLASS & SUPER CLASS. Consisting of Indian racers, selected under the T1 Racer Program, T1 further reinforces the company’s strategic objective of making the profession of truck driving aspirational and at the same time acts as a catalyst to induct drivers into the commercial vehicles profession, addressing the problem of driver shortage. Season 4 of the T1 PRIMA Truck Racing Championship will be held on Sunday, March 19, 2017, at the Buddh International Circuit (BIC), Greater Noida.